Day trips are a great, accessible travel hack for anyone in or traveling to a major city who wants to get to know a region in a deeper way. 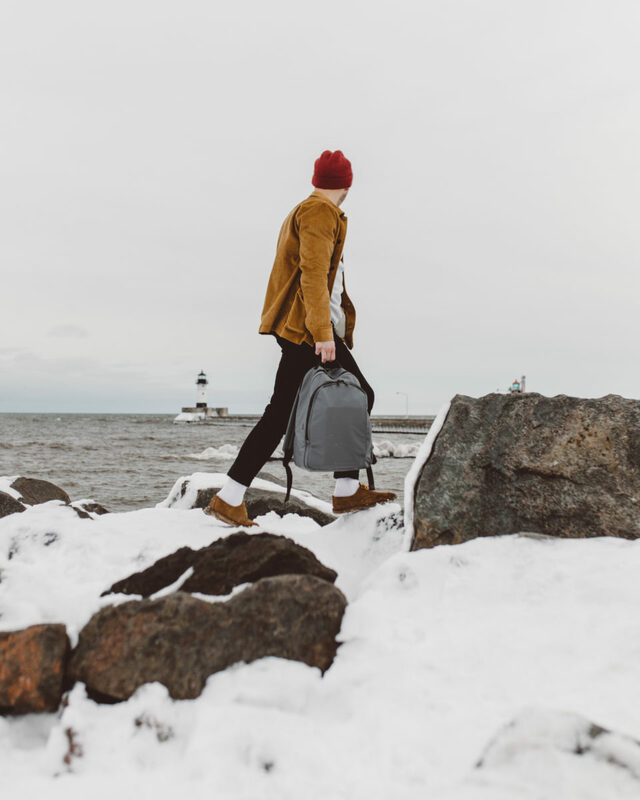 Brandon Eckroth, a travel photographer based in Minneapolis, Minnesota, took a day trip to Duluth from his home city and shared his itinerary below. I love day trips because they’re the perfect little escape from the hustle and bustle that you’re used to day in and day out. They give you an opportunity to slow down and change your scenery, to try something new and exciting. 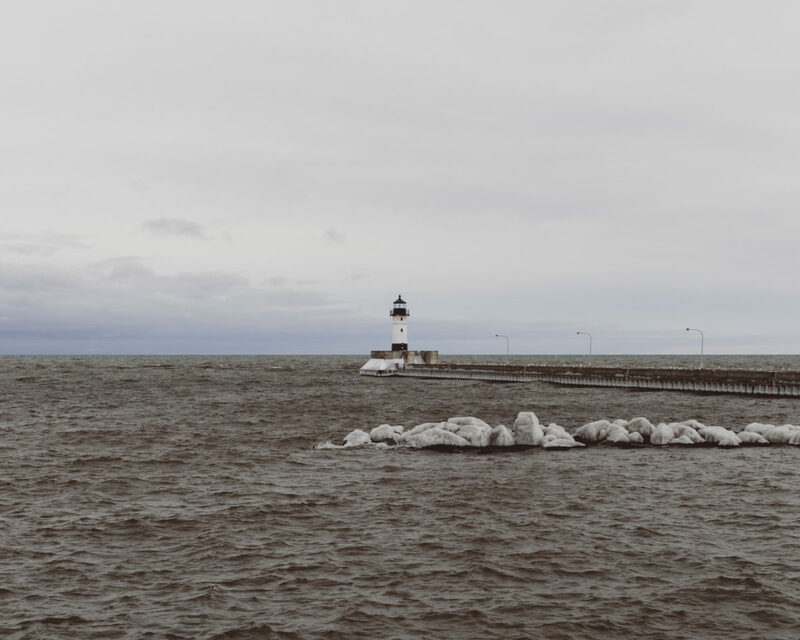 Duluth is a great place for a day trip from Minneapolis because it’s close enough to do everything you want and not feel rushed, but far enough away to slow down from city life. Northern Minnesota has this perfect, calm, worry-free, Scandinavian influence that always just makes you feel at home. 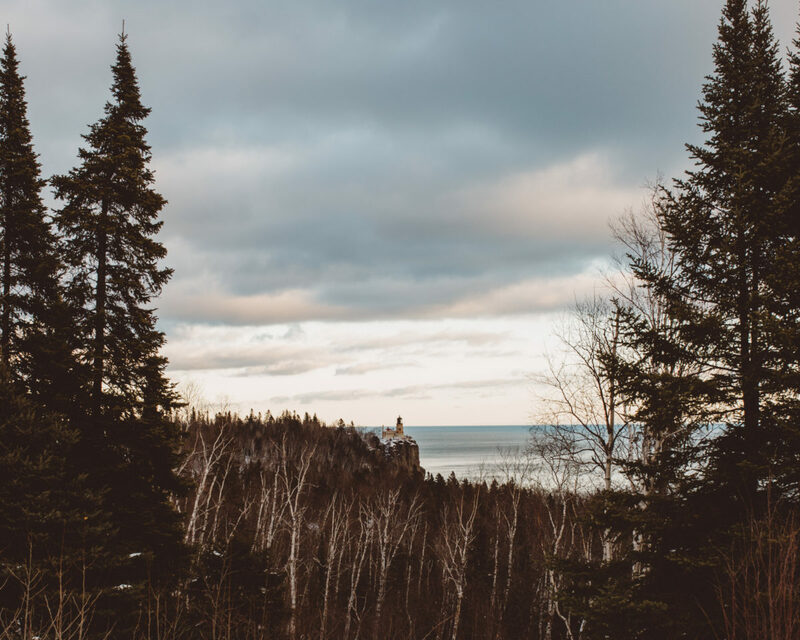 This area is really the best way to enjoy Minnesota for what it’s known for—Lake Superior and the North Shore. That was my favorite part of this trip—the quiet of the shore in winter. The rough waters and the crisp, winter air make you feel so alive. Make sure to slow down and enjoy every last bit of it. Northern Minnesota is meant to be seen and experienced, to be taken all in. 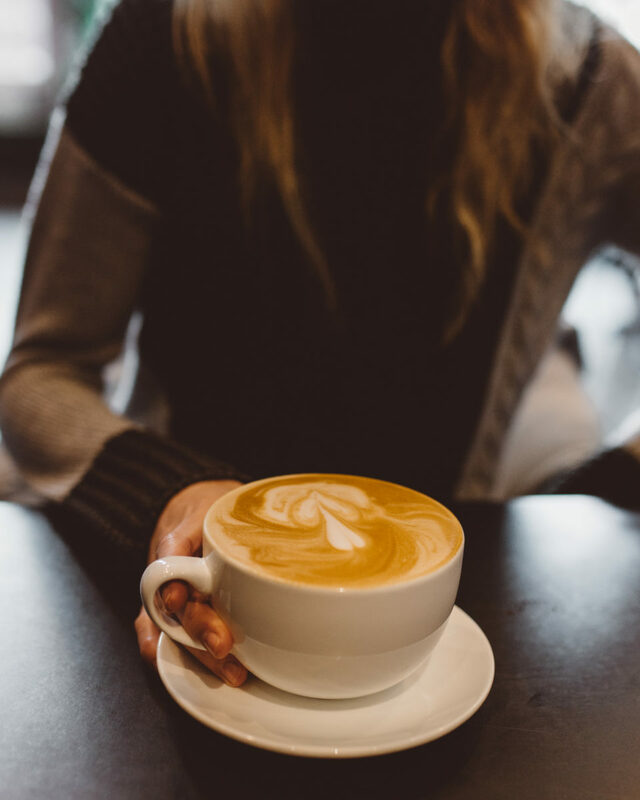 An almond milk latte as big as your face in the cozy Duluth Coffee Co.
Stop #1: Duluth Coffee Co.
We stopped in here for a quick pick-me-up as we passed through Duluth en route to a few fun hikes a little further up north. I ordered an oat milk cappuccino and Callie (my girlfriend) got an almond milk latte the size of her head. They were both delicious. The vibe is a mix between cozy and clean. It has a coffee roaster in the middle of the cafe, which when they’re roasting, sends out the best smells into the cafe. 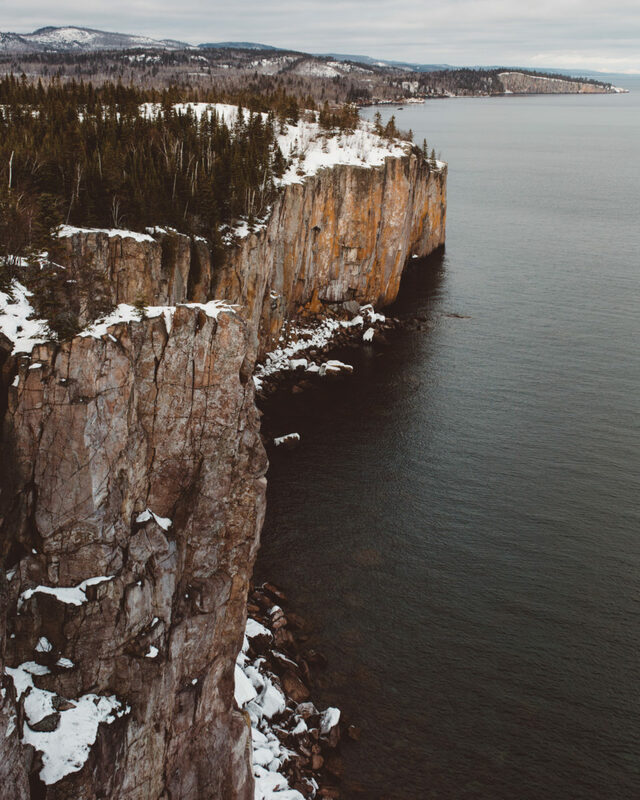 Hundreds of feet up, overlooking the iconic North Shore at Palisade Head near Duluth. If you want a beautiful hike with incredible views, go to the high cliffs on the North Shore. If you go in the winter, the snow covers the main road to the trailhead so you have to park in the base parking lot and walk up the snowy trail. Once you get to the top, there are plenty of off-shooting trails that lead you along the North Shore to some of the most beautiful views you’ve ever seen. All told we did around a one hour hike. Split Rock Lighthouse as the sun set over Lake Superior. Spending a chilly afternoon walking along the shore of Lake Superior in Duluth, Minnesota. We spent about 15 minutes at one of Minnesota’s most iconic landmarks. Due to the heavy snow and ice, the trail to the main views of the lighthouse wasn’t accessible so we ended up heading up to an incredible lookout over Lake Superior with the lighthouse in the background. A warm, delicious caramel apple pie from Betty's Pies. 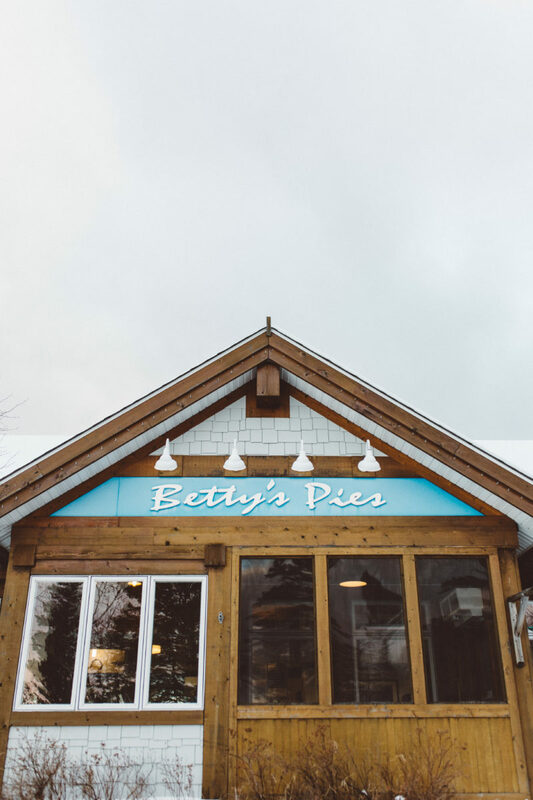 One of the most iconic stops along the North Shore, Betty's Pies, serves up some of the best pies in the world just steps from Lake Superior. 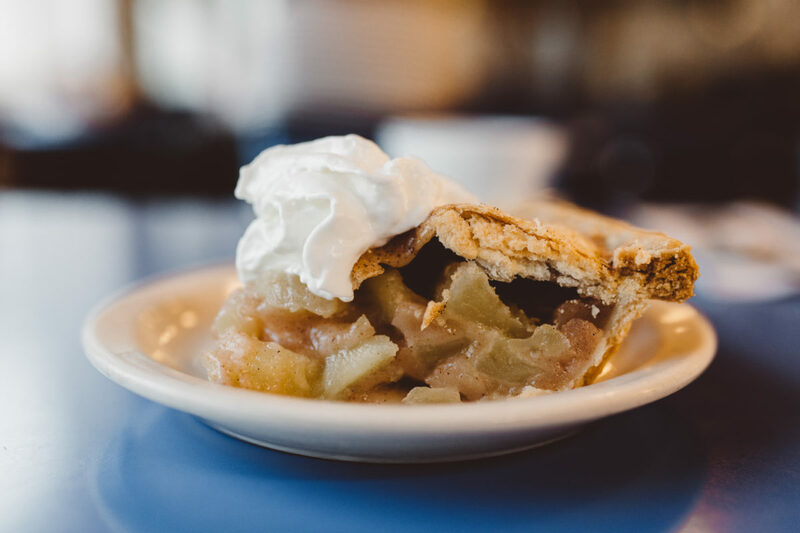 One of the most iconic stops along the North Shore, Betty’s Pies has some of the best pie you’ve ever had. Their famous apple pie heated up with ice cream is to die for. Perfect for a quick snack. 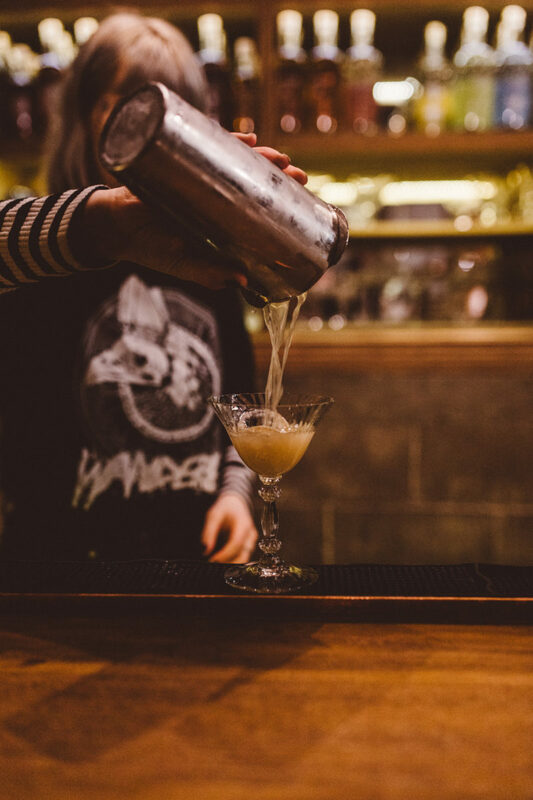 Shaken, not stirred. The Daiq Daiq, Grey Daiq cocktail at Vikre Distillery. 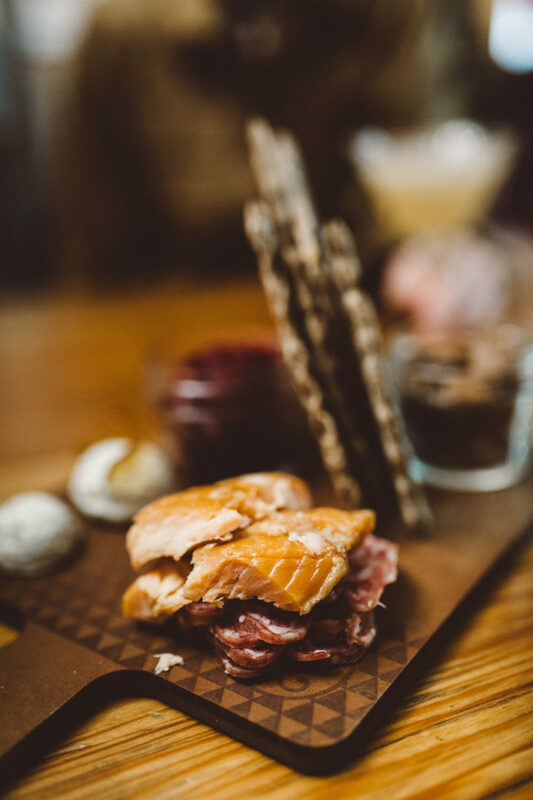 Smoked salmon, candied nuts, and roasted beats at Vikre Distillery. We stopped here for a delicious pre-dinner cocktail. I had their take on a White Russian, which used almond milk and was packed with a kick, and my girlfriend enjoyed their take on a daiquiri. We also got a tour of the distillery, and learned everything about their process, from where they get their grains to how they bottle and barrel their spirits. It was an amazing experience. We had a snack platter, which was the biggest thing they had, but they have a lot of other little bites available. 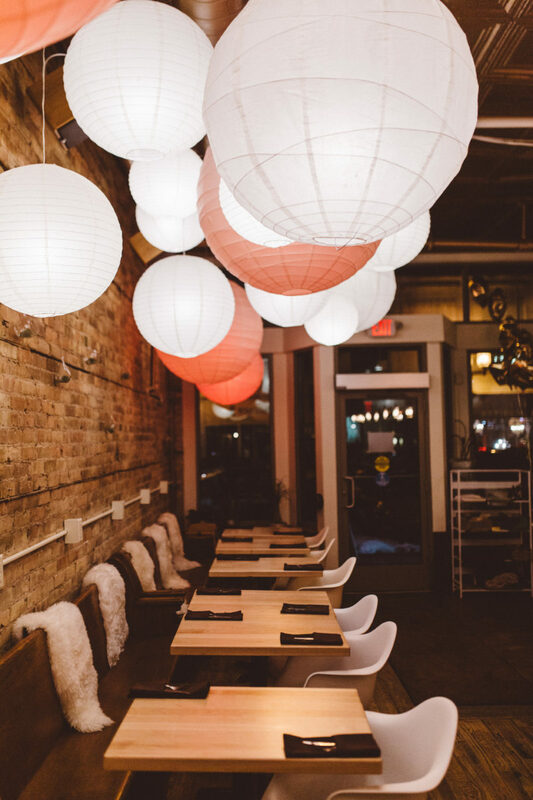 Cozy atmosphere at Martha's Daughter. 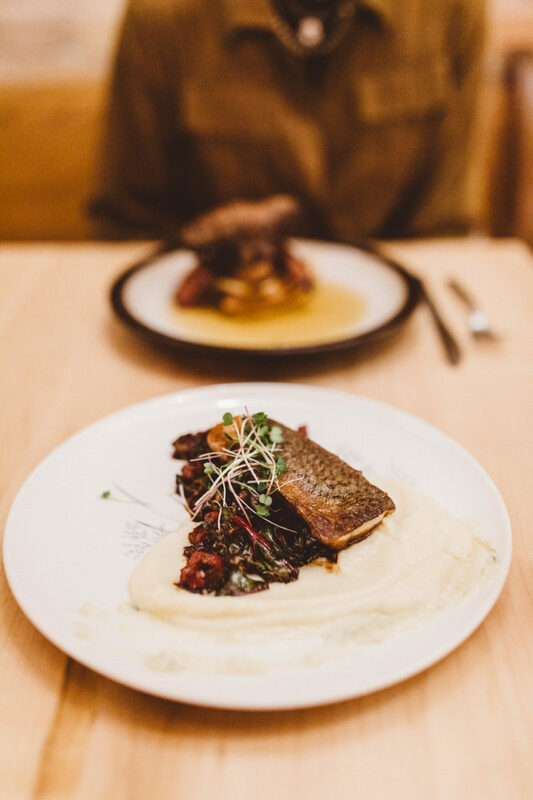 A delicious Rainbow Trout to end the day. Chicken and Waffles at Martha's Daughter. We were ready to enjoy a wonderful farm-to-table meal after the distillery tour. 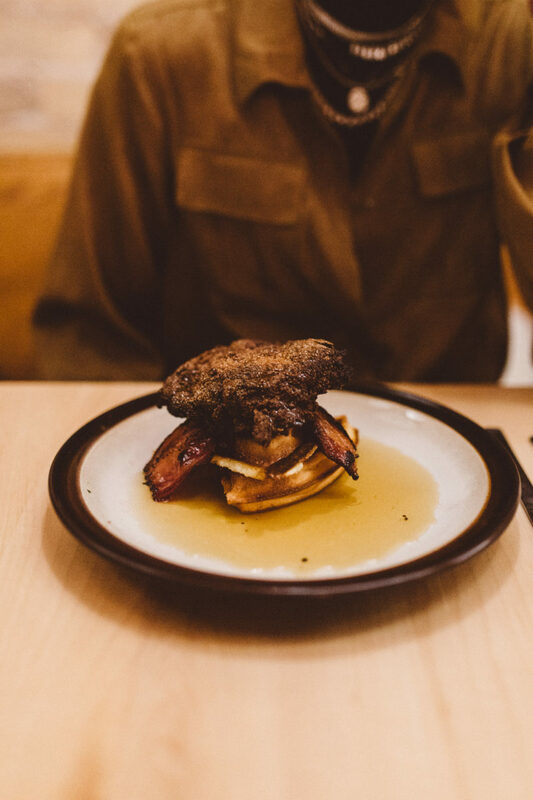 Martha’s ambience is quiet and cozy, with the best chicken and waffles and rainbow trout I’ve ever had. They have such a variety of food, but everything we tried did not disappoint. Mornings at Hotel Pikku are the best kind of mornings. 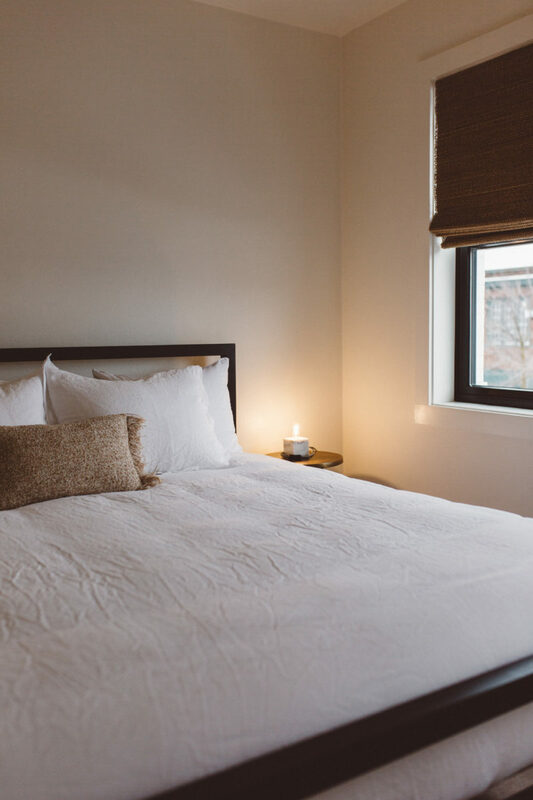 Nothing like a cozy bed as comfortable as a cloud to end the day in. The Pikku is a tiny little hotel with a shop underneath in a two story brick building with three suites that are all super unique. 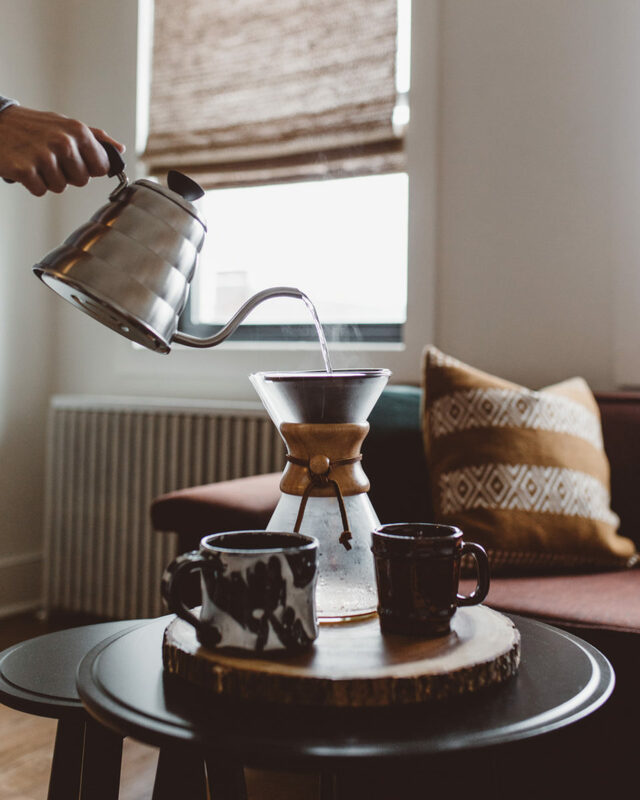 They all have their own functioning kitchen, so they’re like little apartments with a stove and kettle ready for you to make coffee. The style is very Scandinavian—minimal furniture, clean, and hardwood floors. The keyless check-in was super simple: there’s a code on the front door that you get when you book the room. The bed was absolutely unreal—best bed I’ve ever slept in. Walking around downtown Duluth in search of a delicious brunch. 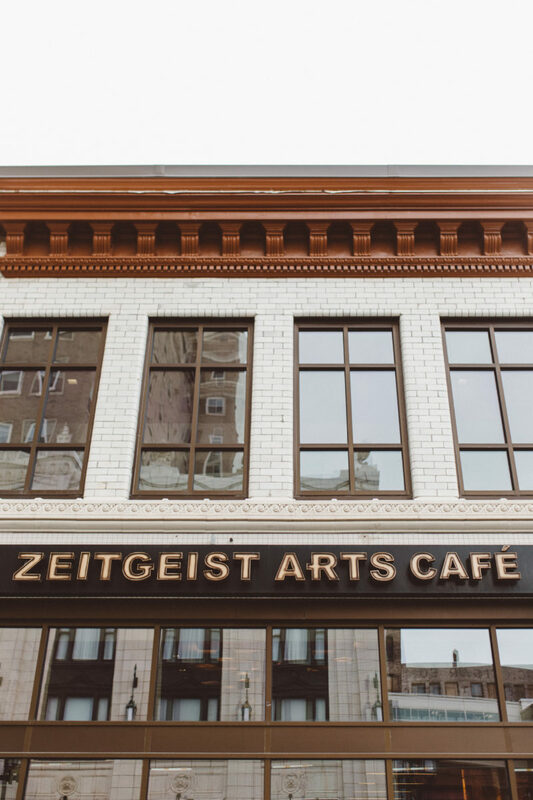 Duck Confit to start the day at Zeitgeist Arts Cafe. Our final brunch before heading home. 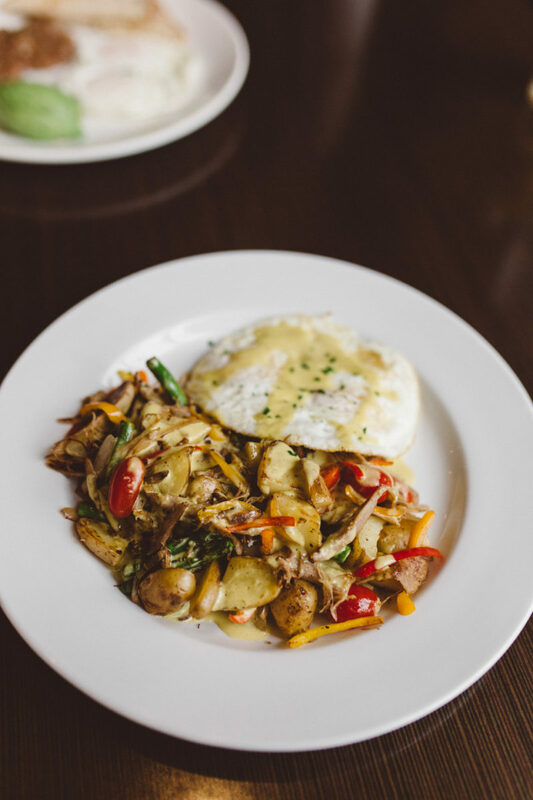 Be sure to order the duck confit, which is mixed with sweet peppers, asparagus, and heirloom potatoes. It was the perfect meal to end an amazing trip before the quick drive back to the Twin Cities.